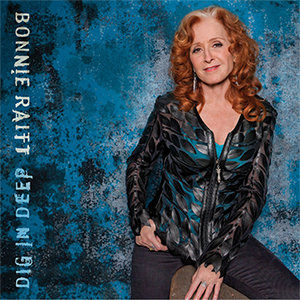 Bonnie Raitt has just released her 2016 album Dig In Deep. After recording her Souls Alike album back in 2005 to much acclaim she then slipped from the music radar until her return to recording when she released the wonderful multi award winning 2012 Slipstream on her own Redwing label. The new album, Dig in Deep released in February 2016, sees her 20th release continue on where Slipstream left off…a very classy, funky album with Bonnie’s beautiful arrangements featuring tight interplay between the members of her live band and some of her best vocals to date. The track “You’ve Changed My Mind” written, recorded and produced back in 2010 by Joe Henry for the Slipstream recordings has been added to the other 11 tracks on this new album which are all produced by Bonnie. Some would have liked to have seen a full Joe Henry makeover after his input into Slipstream but I personally favour her decision to produce the majority of this new CD herself. Bonnie has used her live touring band resulting in a well practiced and tight sound from a troupe of musicians who travel and play numerous shows together - guitarist George Marinelli, drummer Ricky Fataar, keyboardist Mike Finnigan, and bassist James “Hutch” Hutchinson…all seasoned musicians each with proven chops and influence in their own right. Near on half the tracks are self penned and the rest include several co-writes and some well chosen covers including the intriguing inclusion of INXS' "Need You Tonight" which has been given the Raitt revamp; a song she had always thought she could do a decent version of. She has made it one of her own, including her trademark bottleneck slide, an instrument that would never had been thought of for the original version. With the new album, Dig In Deep, it goes to show that Slipstream was not just a one off. Bonnie’s musical creativity is again on the rise and she is delivering wonderfully consistent high quality music with style and class. 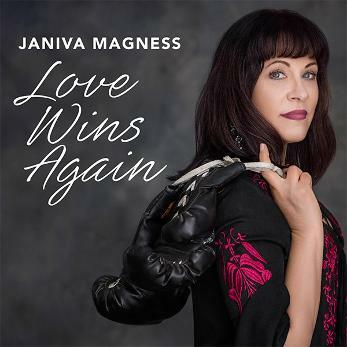 Janiva Magness has been nominated for 25 Blues Music Awards and follows the legendary Koko Taylor as only the second woman to win the highly coveted B.B. King Entertainer of the Year award. Love Wins Again is Janiva's second release on her new label "Fathead Records" and her fifth collaboration with four-time Grammy nominated producer Dave Darling. Many of the songs on this new release are original tunes written by Janiva and her collaborators. Many of the songs feature more on the easier listening side of things which enable Janiva's amazing voice to shine through. This is the 4th "solo" release by multi Instrumentalist Luther Dickinson who recently was in Australia as part of the band "The Word" with Robert Randolph. Luther Dickinson on guitar; and his brother Cody, drums; were born in Memphis the sons of legendary musician/producer Jim Dickinson. Luther’s discography includes early recordings with bands such as “D.D.T.” and “Gutbucket”. After years working as part of the rock club circuit the hill country blues came calling. He and his brother formed the North Mississippi All-stars in 1996 and released their first album “Shake Hands With Shorty” in 2000 on the Tone-Cool Records label. Luther has occasionally returned to rock having recorded two albums with songwriter John Hiatt and two with The Black Crowes. The North Mississippi All-stars have a total of nine albums to date the last being 2013’s “World Boogie is Coming”. 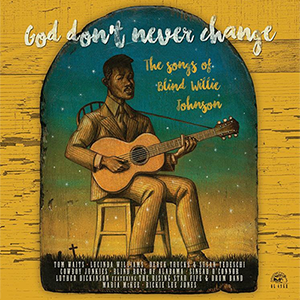 In 2012 Luther released “Go on Now, You Can’t Stay Here: Mississippi Folk Music Volume 3” with The Wandering. This new album is a sort of follow up. Luther has written or co-written all of the 21 songs but they have been inspired by lessons and traditions he has learned. The band includes Luther, guitar, mandolin, piano and vocals; and his band The Cooperators with Sharde Thomas, drums, fife, and vocals; Amy LaVere, upright bass and vocals; Lillie Mae Rische, fiddle and vocals; Charles Hodges, keyboards; Paul Taylor, tub bass; Jimmy Crosthwait, washboard; and backing singers Sharisse and Shontelle Norman. The album opens with “Hurry Up Sunrise” inspired by fife and drum master Otha Turner (1907-2003) whom Luther credits as co-writer. 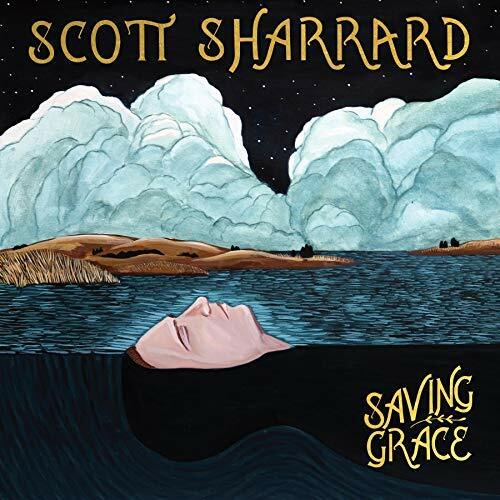 It originally appeared on the 2005 North Mississippi All-stars “Electric Blue Watermelon” recording but this version is a stripped down and intimate vocal duet with Thomas whom also happens to be Turner’s granddaughter. This song is a beauty. Luther wrote “Ain’t No Grave” shortly after the passing of his father Jim. It was originally featured on The North Mississippi All-stars 2011 “Keys to The Kingdom”. Joining in on this deeply moving version is Mavis Staples. “Bang Bang Lulu” and the fantastic “Moonshine” were both co-written with the elder Dickinson. 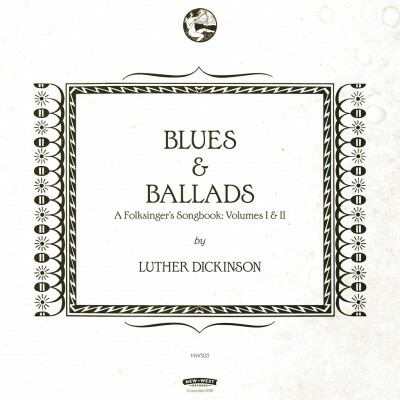 Luther states that this album was the most casual he has ever made as it was recorded over a long period of time with friends at studios in Chicago, Nashville and Memphis. Jason Isbell plays slide guitar on “Up Over Yonder” while JJ Grey harmonizes on the vocal. “Ol’ Cannonball” is all Luther, guitar and vocal. Luther, Alvin “Youngblood” Hart and Jimbo Mathus have recorded two albums as The South Memphis String Band and the trio are re-united on “Shake Yo Mama” co- written with Mathus. The song is inspired by Slim Harpo’s “Shake Your Hips”. Luther is a collector of songbooks. He states that the folk tradition is always evolving and that this is his life’s work, his songbook. It tells his story of “growing up in the modern day rural south among first generation Memphis rock ‘n rolling, song collecting, folk bohemians." Luther wants this to be as it should; rare and underground, not for everyone; but for those with an acquired taste. This is highly recommended. 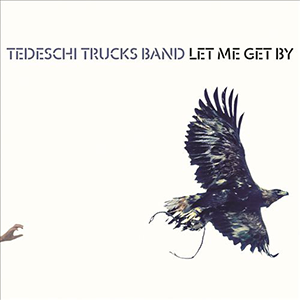 Susan Tedeschi and Derek Trucks Band have released their new studio album...another slick, Southern Soul record with Derek's trademark slide guitar and Susan's wonderful vocals and rhythm guitar work. Impeccable supported, as always, by the wonderful 10 piece band.